Raspberry Pi Bartop Arcade Cabinet @Raspberry_Pi #PiDay #RaspberryPi « Adafruit Industries – Makers, hackers, artists, designers and engineers! 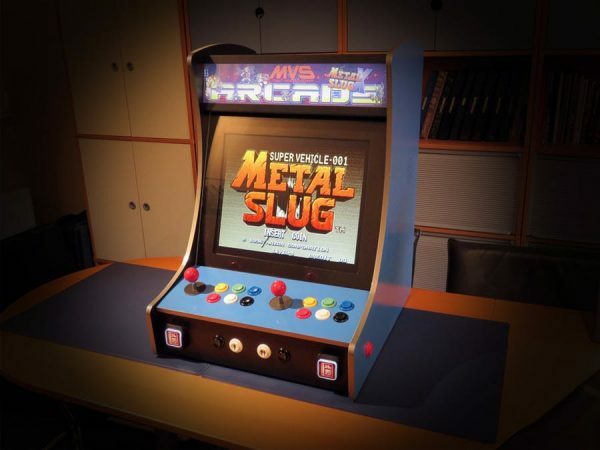 A home-built bartop arcade cabinet powered by a Raspberry 2B running RetroPie. Here is a project I did a while ago: after seeing some videos and reading some articles about people using a Raspberry Pi to play retro games, I decided to build my own custom fullsize bartop arcade cabinet. I did some research and decided I would need a Raspberry PI 2B, an I-PAC 2 interface, to connect the joysticks and buttons, and RetroPie software as the main parts to make it work.